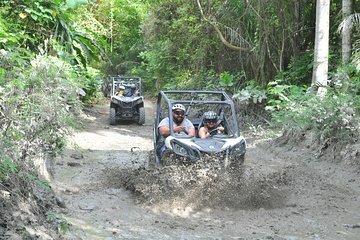 Explore the rugged terrain outside of Puerto Plata that many travelers don't get to see on this all-terrain vehicle adventure. After an introductory lesson, slip on your safety gear and head out into the countryside behind the wheel of your own Terra Cross buggy. Learn about the area's history and environment through your guide's commentary, stopping to refresh yourself with snacks and beverages.